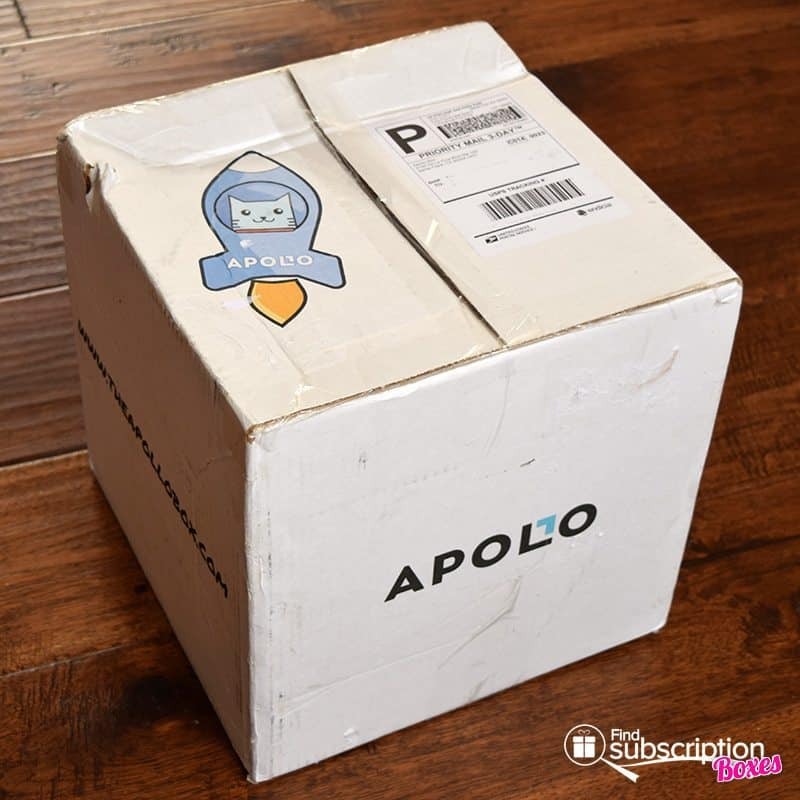 We’re excited to share our first Apollo Surprise Box review! 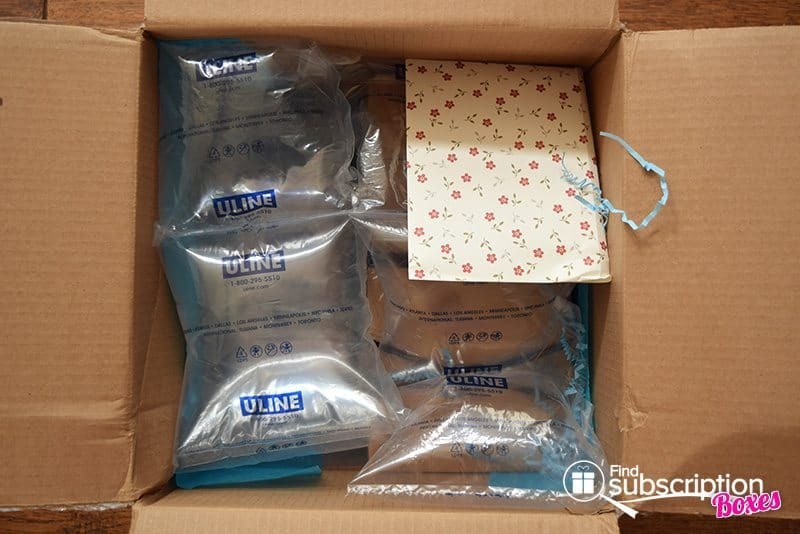 Brought to you by The Apollo Box, Apollo Surprise Box subscription boxes deliver unique and trending products and gadgets, selected to match your lifestyle and tastes. With today’s Apollo Surprise Box review, we’re unboxing our August 2017 Apollo Surprise Box. 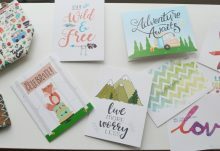 Apollo Surprise Box includes product cards describing each of the special gifts in your box. They also include a price sheet so you can see how much you’re saving with your monthly Apollo Surprise Box. 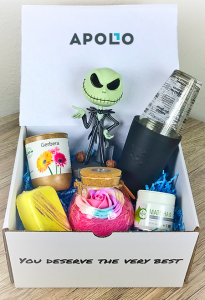 Here’s the first look inside our August Apollo Surprise Box mystery subscription box. There were 4 unique items in our August Apollo Surprise Box. You’ve only ever dreamed of touching the moon. Now indulge yourself with the soothing glow of our photo-realistic moon light. Enjoy the fresh herb-inspired fragrances of these artisan candles. When the candle is gone, the vintage pot becomes a charming herb garden for your kitchen. Star Wars: Princess Leia Funko Pop! The battle-weary General of the Resistance, this Princess Leia figure from the Force Awakens is a powerful leader in the fight against the First Order. Apollo Surprise Box is the monthly subscription box for people who want a box customized to their lifestyle and taste. 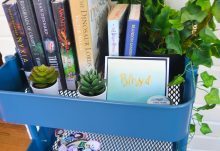 We love that you can get unique and fun products from a variety of things you like – not just geek items or only kitchen. 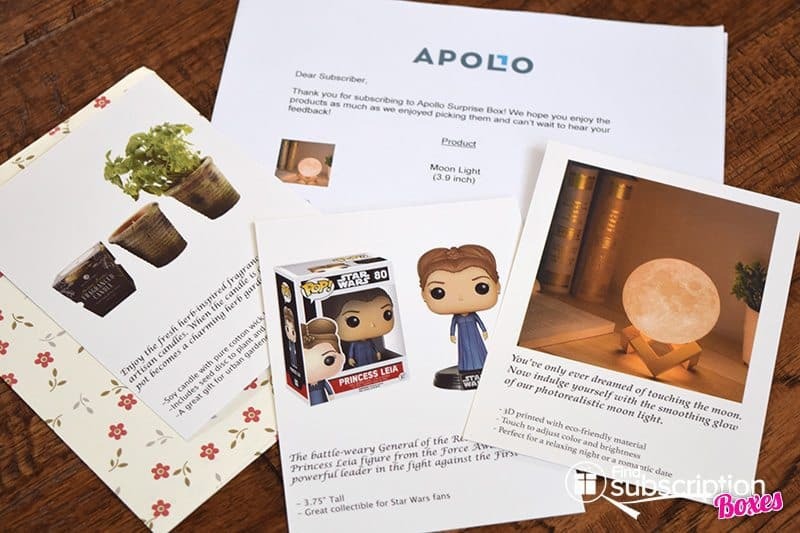 When you subscribe, The Apollo Box has you complete a brief survey so they can send you items that match your interests and that you’ll love. 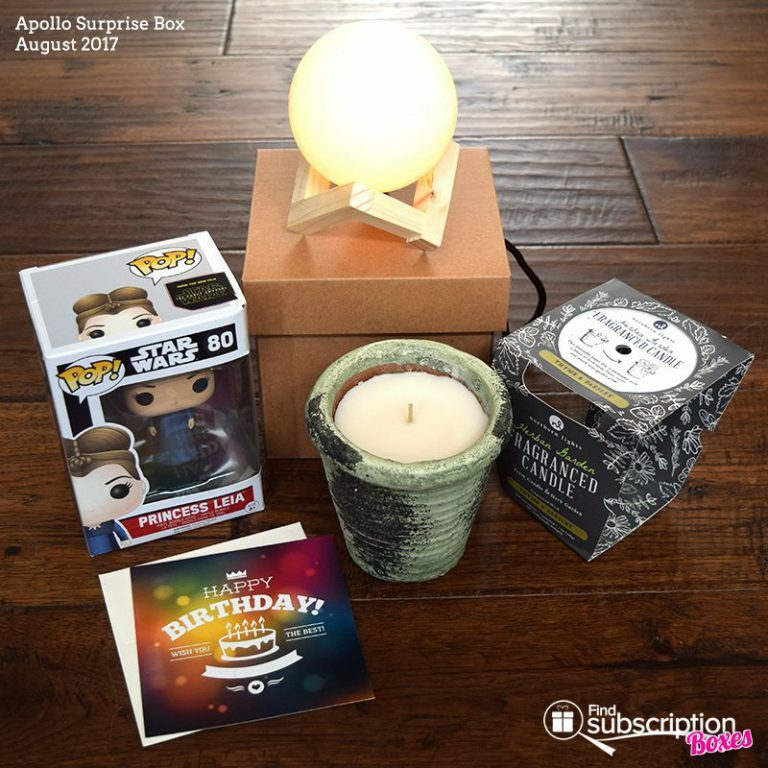 With our August Apollo Surprise Box, they really curated to our preferences perfectly. First up is our favorite item in the box, this super cool Moon Light. It’s a great home decor item for your office or bedroom to add a subtle glow of light. Our other favorite item (we can have two, right?) is the Herban Garden Candle. Not only does the Thyme & Parsley scented candle smell amazing, it’s actually two products in one! Once you burn up the candle, you can PLANT the paper cover of the candle using the vintage clay pot. LOVE. The Princess Leia Funko Pop! speaks to our geek collector side. We can’t believe that with all the Star Wars characters we have, this is our first Princess Leia Funko. She’s a great addition to our vinyl figure collection. You can’t go wrong with Funko. Finally, we have the Magic Birthday Card. This is an augmented realized birthday card that anyone would love to receive. When you scan the front of the card using the Apollo Box free app, it shows a birthday cake and plays a song! Apollo Surprise Box really impressed us with items that were truly unique and quite simply cool. 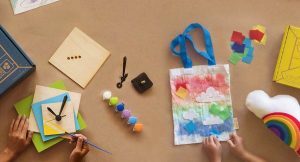 We can’t wait to see what one-of-a-kind gifts they’ll deliver next. What did you get in your August 2017 Apollo Surprise Box? How would you rate Apollo Surprise Box ?